The public is invited and encouraged to attend these meetings. Anyone wishing to present a topic for discussion should call the Administrative Office at 630-233-7275 ext. 2153. 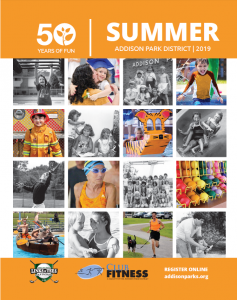 The regular meetings of the Addison Park District Board of Commissioners are held at Community Recreational Center, 120 E. Oak Street, Addison, Illinois.